An article1 recently appeared in the Daily Telegraph entitled “Waitrose Food Police”, which talked about ‘health food police’ being installed in Waitrose supermarket stores in order to help customers stay away from junk food. The following is a part of that article (my highlights in bold) along with some “food for thought” from me. Waitrose is training up shop assistants to become “health food police” who will patrol aisles and steer shoppers away from junk food. The move will be rolled out at dozens of stores across the UK this year, and is designed to encourage shoppers to load their trolleys healthy options including Waitrose’s new ‘Good Health‘ range of food. It comes as half of shoppers admitted that they didn’t feel on top of their health in a survey, with a third saying they didn’t have enough time to focus on their health. 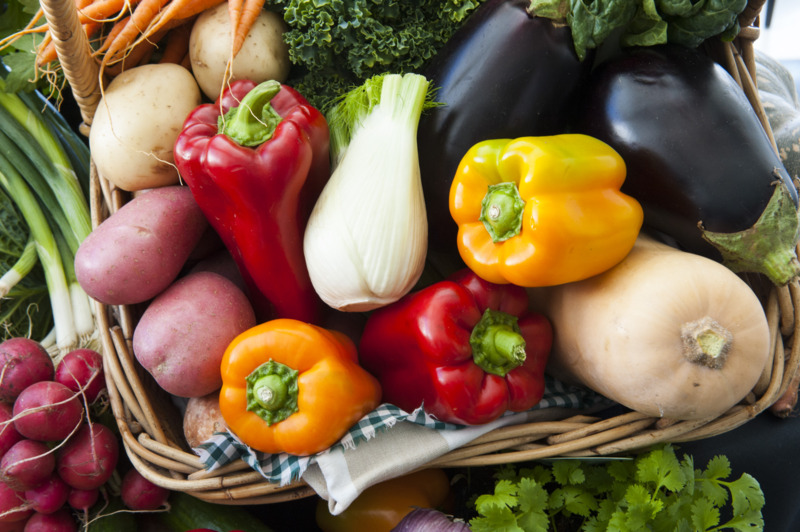 Once trained up by qualified nutritionists, shop assistants will advise and direct customers who ask towards healthier choices on the shop floor free of charge. For example a shopper deciding on a meal to cook for supper might be advised to buy quinoa instead of rice, Waitrose said. They will also be trained to suggest recipes to shoppers, and advise them on how to read food labels and where they can find reliable sources of nutrition information. Retailers including Tesco and Boots have banned junk food at tills after experts warned it was fuelling obesity. Whilst I’m clear in my own mind that moderation doesn’t work for most people when it comes to healthy eating, it works for some and any small step in the right direction is a good thing. So, at least Waitrose (and other supermarkets) are making some efforts to take responsibility for the tsunami of diet-related diseases that is hitting populations eating the SAD (standard American diet). 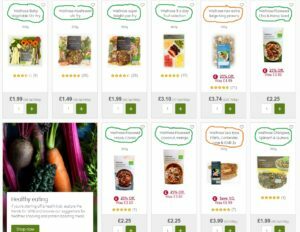 It’s laudable that Waitrose has introduced a range of “Good health” foods, but it does make you wonder why all food sold for human consumption doesn’t have to be good health foods! Governments and health authorities know the research showing how the junk/processed and animal-based food sold in supermarkets, restaurants, corner shops, hospital and school cafeterias etc are slowly but surely killing us, but it’s left to the likes of Waitrose to “tinker” with this massive and, increasingly, global problem. It’s like the government leaving it up to tobacco companies to let customers know about the damage smoking can do, or trusting motor manufacturers to decide whether or not they’ll bother to install seat belts in cars. As if! Of course people don’t like to be told what to do; and this is nowhere more obvious than with regard to dietary habits. 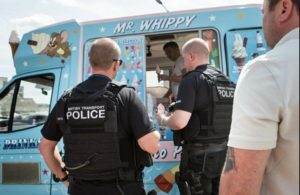 It’s no accident that the title of the above article hints at Big Brother and some form of unwanted imposition of opinion: the word “Police” could easily have been replaced with “Advisers” or even “Saviours” if the author of the article had considered the reader would embrace the idea of being told what to eat. The idea of relying on someone else’s opinion about what foods you eat is never something that we find easy to do. Indeed, in my experience as a WFPB nutritional therapist, I’ve often found it a challenge to get sensible healthy-eating advice to stick with those people who have actually asked for help. And you can forget the idea of trying to tell someone who has not asked for help! Good luck to the Waitrose shop assistant who oversteps the mark and makes an unsolicited suggestion: “Excuse me madam, but maybe you’d do better buying some fresh fruit for your young daughter than loading the trolley with all that ice cream and doughnuts”! True, it’s a good thing that Waitrose are doing something to try to encourage people to eat more healthily; but who are these “food police” going to be? What sort of advice will they be giving? “Choose low-fat milk instead of full-fat”? “Have olive oil margarine instead of butter”? “Try to eat at least two to three portions of oily fish per week for your heart health”? 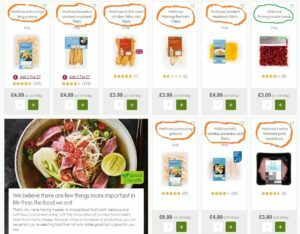 Most of the food items in Waitrose, as in virtually all food stores across the UK, are less than ideal in one way or other – from white bread to white chicken, Coca-Cola to canned sardines, chocolate chips to chipolatas. If you’re eating an optimally healthy diet, most of the food aisles in most stores are just about as near to “Off Limits” as it’s possible to be. Yes, Waitrose has a wonderful (though over-priced) selection of fresh fruit and veg, the dried beans and pulses, nuts and seeds, frozen veg and plant milks (whoops – can’t call them milks now, can we!2 ); however, there’s little else that isn’t either animal-based or that comes with the endothelial cell-busting added oils3 , added salt4 or added sugar5 . Not shopping when hungry is an excellent idea and one to be applauded. Waitrose’s “Good Health” range6 , on the other hand, is not quite so worthy of applause. Below are the first foods that appear on this “healthy” range (using my rough Red/Amber/Green guide for Regrettable/Ambivalent/Go For It! respectively). Lots of green lights there, and the list continues. Naturally, Waitrose is a commercial venture that has to supply what its customers demand, and at least it’s doing something; but it’s not enough and it’s too late for millions of already clinically obese and disease-ridden people who are the way they are primarily because of the “Frankenfoods”7 they put into their mouths – food that they see everyone else eating and, thus, consider it’s “no big deal…surely, if it was sooo bad for me then the government would let us know”. But remember how long it took for our “caring” governments to tell us the truth about tobacco smoking?8 So, until the doctors and politicians begin responding to the wealth of research data condemning our modern diets, and imposing genuinely healthy legislation, or even just telling the public the whole truth about nutrition, the unwitting shopper will just use a bit more low-fat spread instead of butter and plan to join the gym someday. With over half of the population of the UK either obese or overweight9 , how long will it be before we look back on these trivial, though well-intended efforts of the likes of Waitrose , and wonder why it took so long for us to wake up to the damage being done all around us – to our bodies, our children’s futures, the environment and the billions of unnecessarily tortured and butchered animals?